This small waterfall is unnamed officially, and is on a creek that is also unnamed. Camp Fortune is nearby, however, so I decided to call it Fortune Falls. 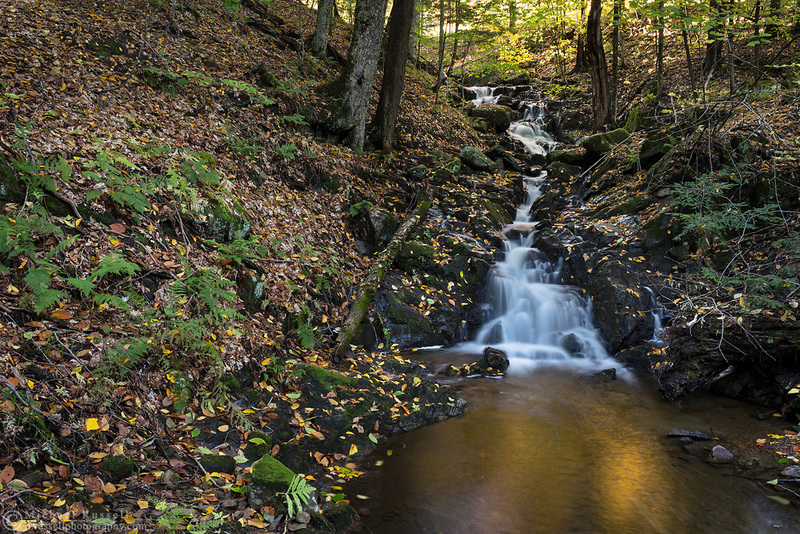 Photographed near the Dunlop Picnic Area during Fall Rhapsody in Gatineau Park, Québec, Canada.